Welcome to the Everything ABC’s Blog Hop! For this hop we will be featuring the letter G. This may be the name of a paper, a stamp set or an embellishment. 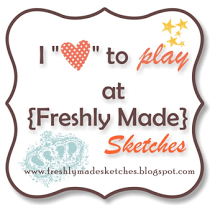 Whatever the crafter has chosen as their G element will be featured in their post. If you came from Catherine Nowak then you’re on the right track! Supplies used are all Close to My Heart: Georgie Paper Packet, Aqua Shimmer Trim, Handwritten Print Stamp Set, Slate Ink, and Black & Grey Epoxy Bubbles. Loosely followed the Charmed layout on page 81 of Magic. 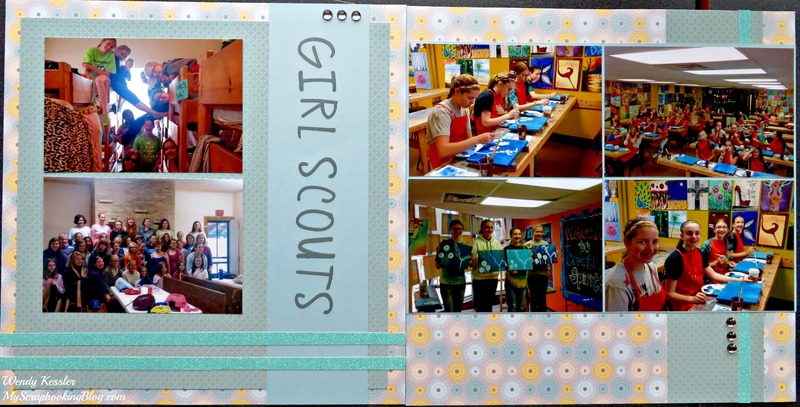 For the letter “G”, I chose to do this GIRL SCOUT layout with GEORGIE PAPER. I am very happy with the colors and how well the paper worked with my pictures. For some reason I often have trouble scapbooking GS pictures. Your next stop on our Everything ABC’S blog Hop is Stephanie Feist.